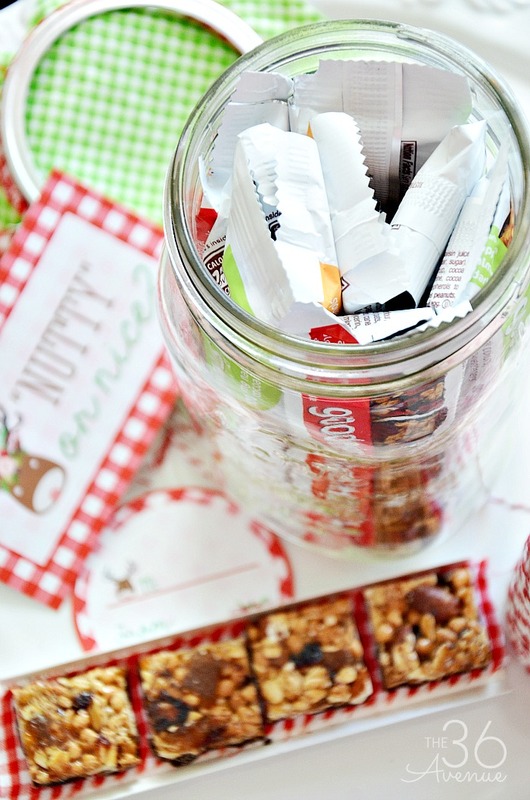 To put this yummy Snack Jar together all you need to do is fill the jars with 7 to 8 of goodnessknows snack squares. You can find them HERE or at places like your local Wal-Mart or Wall Greens. You can also click HERE to check where to find them in your area! and peach & cherry, almond, dark chocolate! 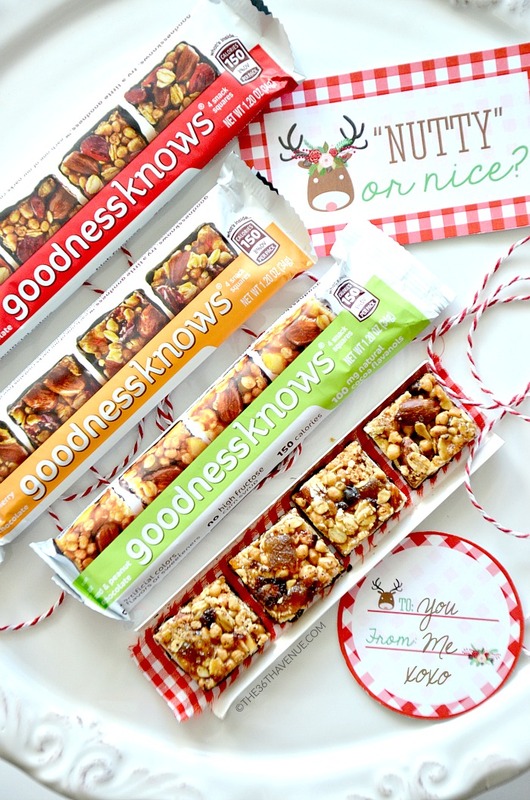 Try them all for “goodness” sake! I cut circle shaped pieces of fabric to place on top of the lids and thin but long strips of fabric to tie around the lids and hold the tags. 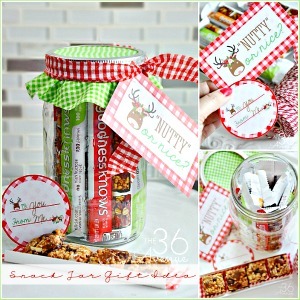 Now that you have put all the pieces together print the free printables below and tie the tags around the jars! 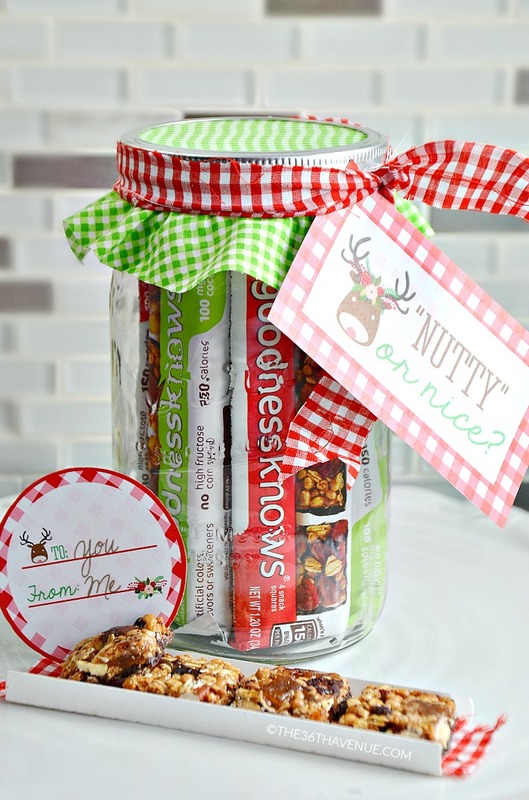 Now you are all ready to share these yummy treats with your kiddos’ teachers, neighbors, coworkers and loved ones! 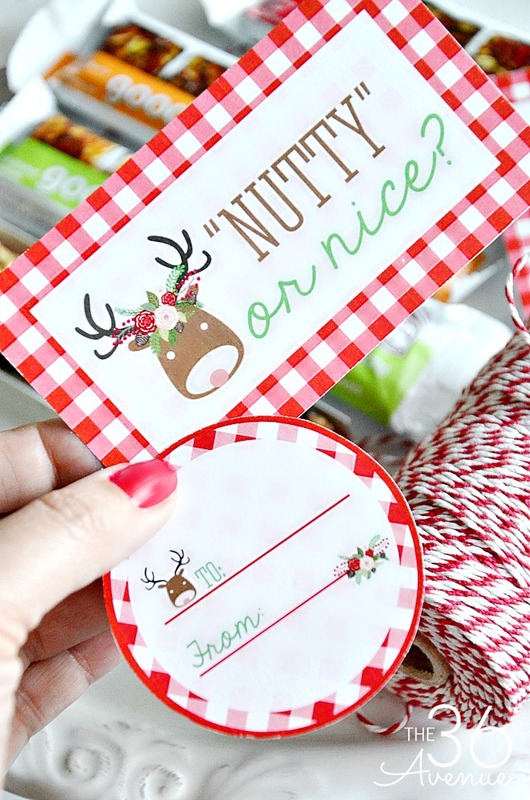 You can also use the tags for individual wrapping… Great for class parties and get togethers! Seriously, I call these my guilt free snack because they are made with no artificial colors, flavors or sweeteners and all four snackable squares that come in an individual wrapper have just 150 calories! 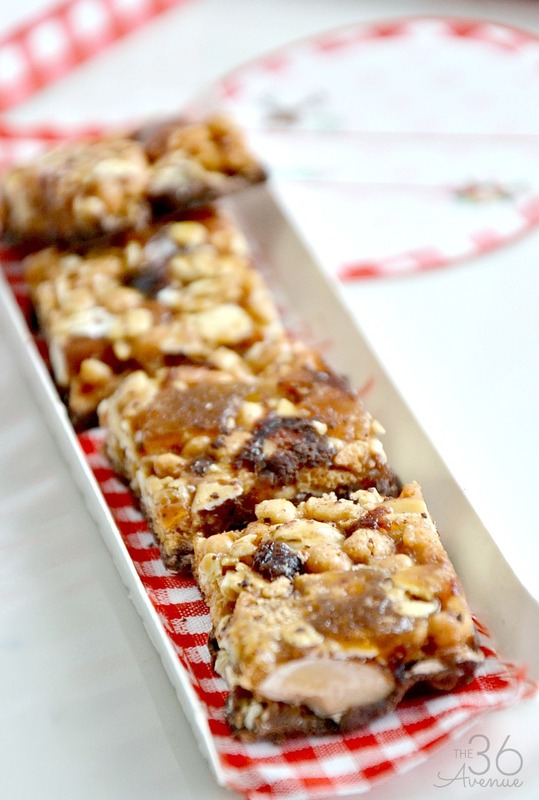 You can snack now and thank me later! Thank you so much to our friends from Goodness Knows for visiting with us today and teaming up with me to bring these adorable gift idea and free printables for our readers! 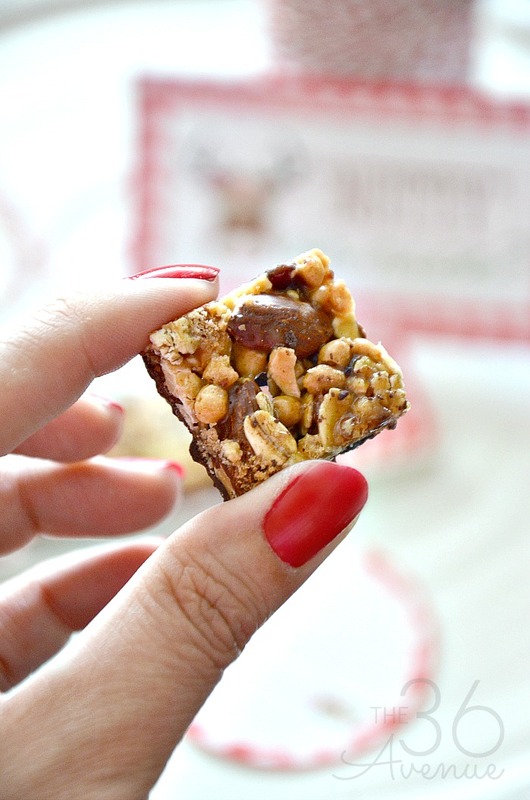 So, are you “nutty” or nice?